Advancements in digital payment technology are changing the way consumers interact with ecommerce retailers. From cash and digital wallets, to credit cards and e-Transfer, consumers want to use the payment method of their choice online. Many Canadians simply aren’t comfortable exposing their financial or credit information online – but still want the ability to purchase goods from online retailers. As a leader in alternative payments, Payment Source can help you provide your customers access to an evolving ecosystem of payment solutions, from new payment models and digital wallet solutions. 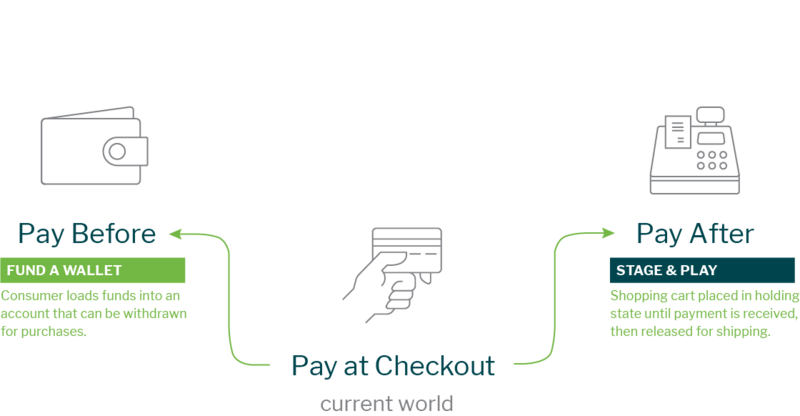 In this scenario, a customer is provided with a QR code linked to their account or gift card, and the customer then loads funds (via cash or debit) into an account that can be used for a one-step checkout. They can browse for and purchase goods online, and their account is debited for their total order and shipment is made immediately. No need to enter or store their credit card information. With this model, consumers shop for their goods online and then “stage” their order, receiving a QR code (via email or SMS) at checkout. The order is moved to a pending payment status while the customer makes an offline payment using an over-the-counter transaction. The ecommerce retailer receives instant notification that the payment has been received, and the goods are released for shipment or pick-up. We've built alternative payment solutions that enable Canadians to transact in whatever way suits them. We can help you gain unparalleled access and distribution to the Canadian marketplace through greater payment choices. We can provide your online store with e-Transfer as a method of payment, a convenient and widely used option for consumers. e-Transfer is available in over 255 financial institutions in Canada, with over 156 million e-Transfers sent in 2016 alone. While Visa and Mastercard debit options are also available, many consumers are more comfortable using e-Transfers. Zenwallet is our proprietary mobile wallet application that enables the storage and management of various payment QR codes and products. It makes it easy for customers to access and retrieve information, to check balances, view transactions and load their accounts at any Canada Post location across Canada. Built with speed and flexibility in mind, Zenwallet allows any mid- to large-sized business to white label a mobile wallet solution to their product requirements. Cross platform/wallet pollination, which not only improves customer experience but also retention through an extensive depth of features. High growth digital wallet platforms which combine loyalty and rewards with simple payment experiences. Find out how you can add in-person, mobile and online payment solutions for your ecommerce platform.